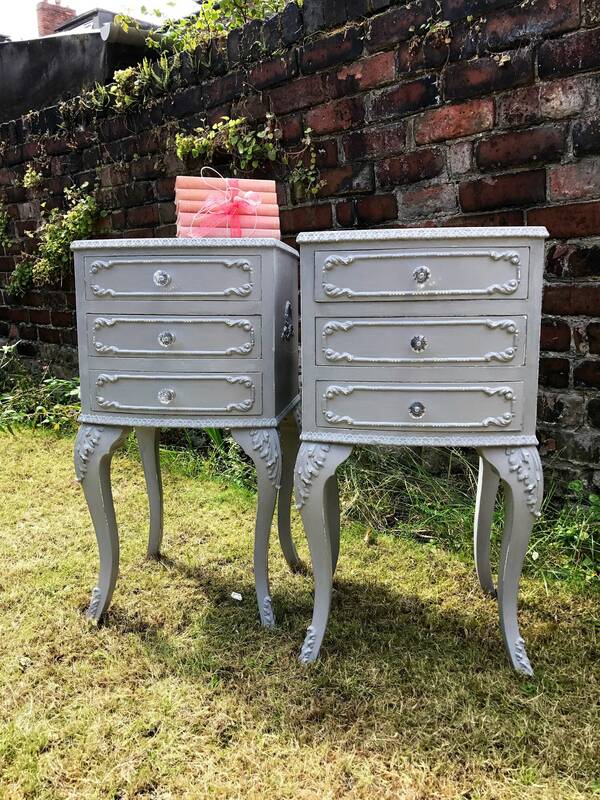 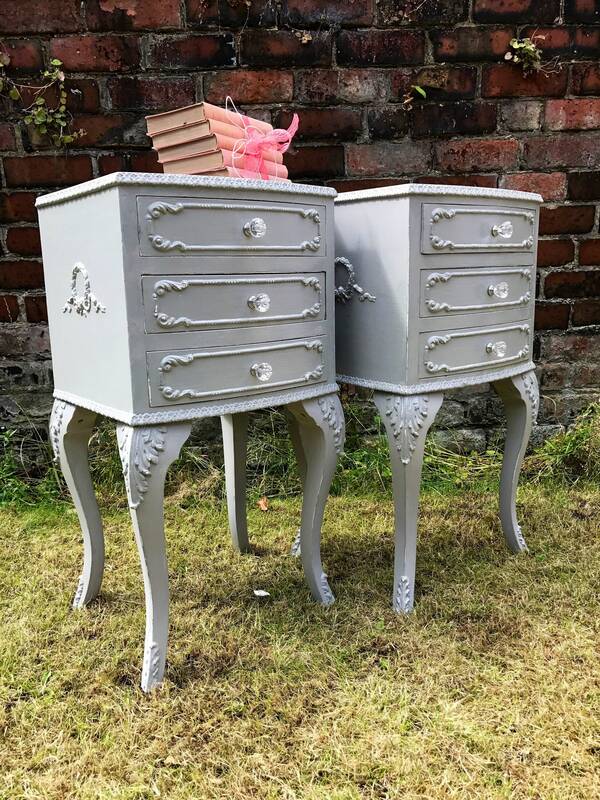 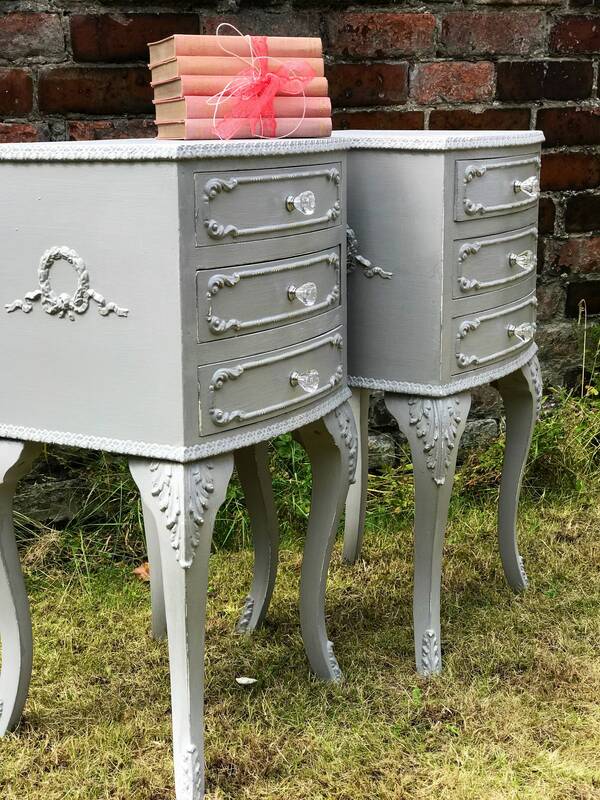 A matching pair of mid 20th century restored, reloved and upcycled, painted nightstands with drawers finished with beautiful crystal handles. 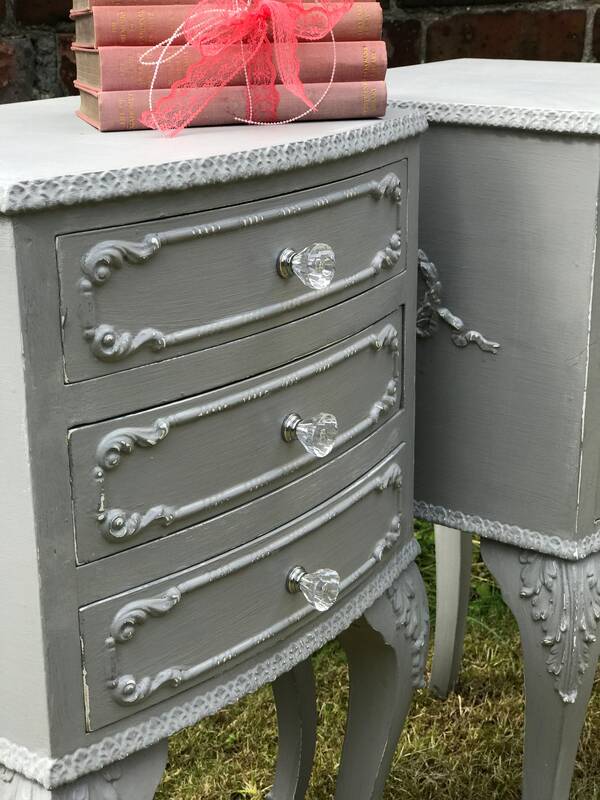 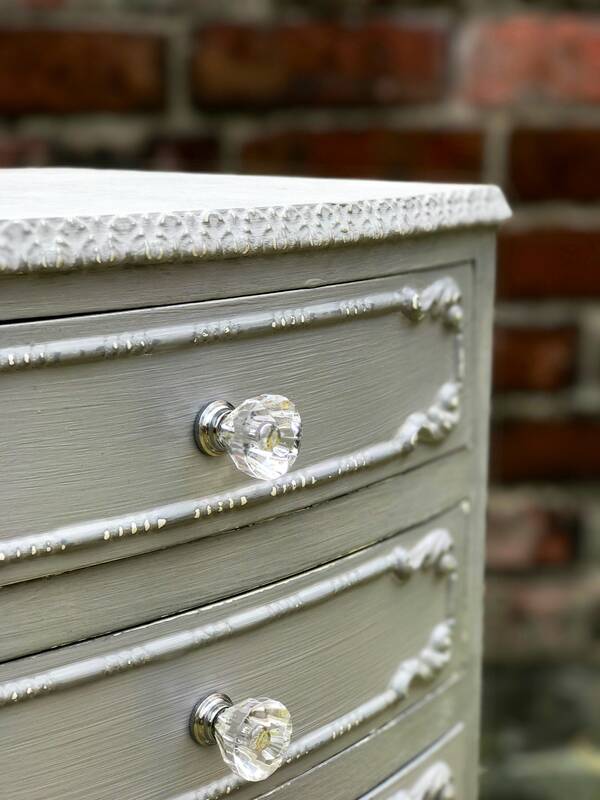 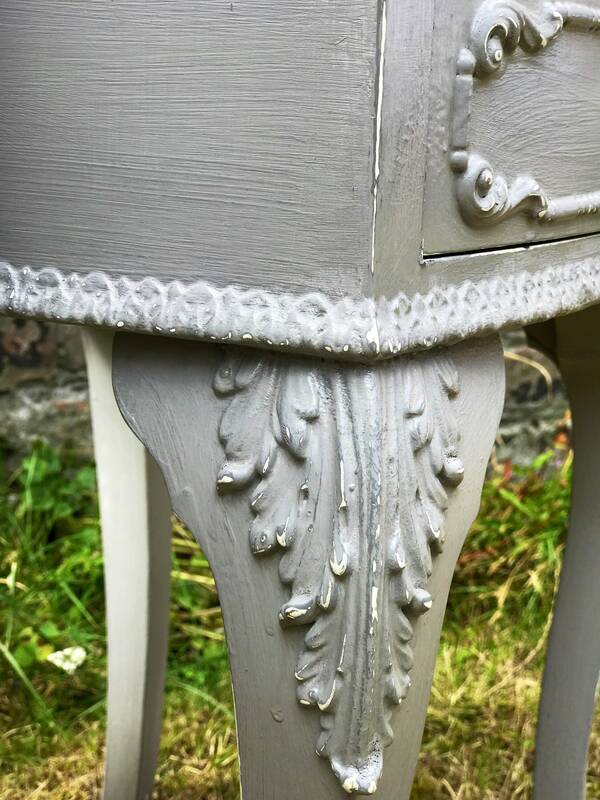 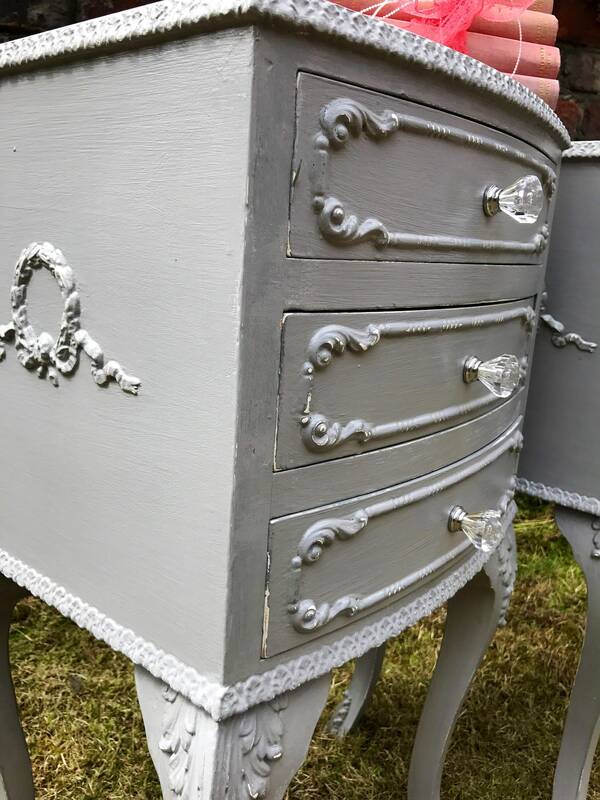 Painted in French Grey chalk paint and finished with a durable sealer, this is a pretty shabby chic bedroom set that will be loved by any princesses of all ages. 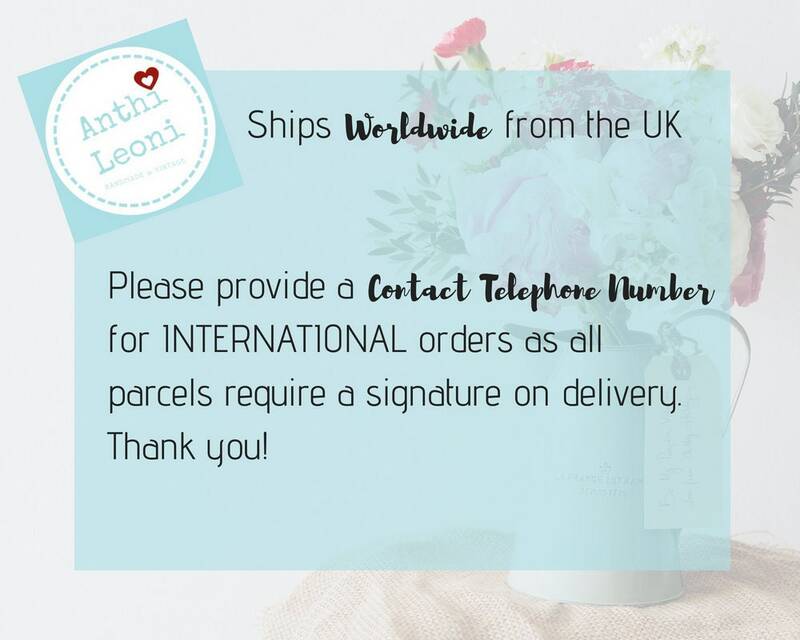 SHIPPING AND TURNAROUND TIMES - Anthi Leoni Decor Ships Worldwide - Please provide a contact telephone number for this order. 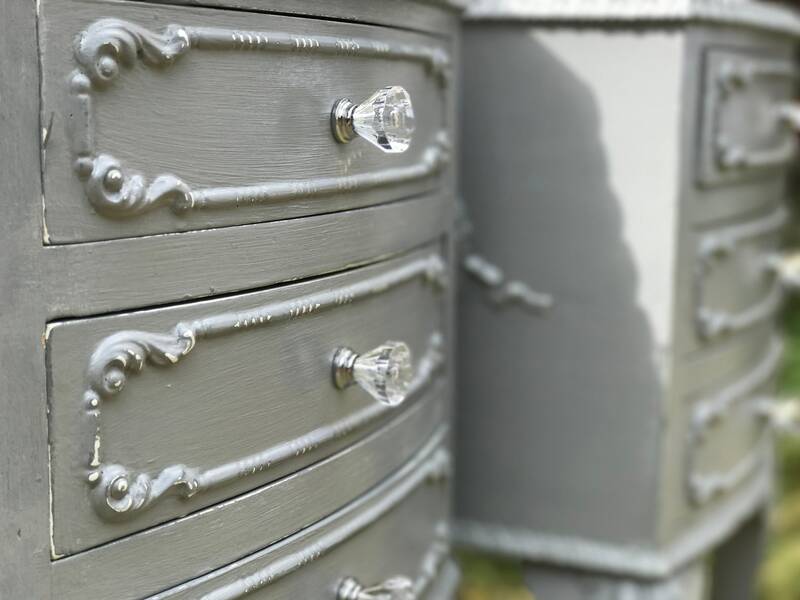 Turnaround time is approx 7 days on this product.